OTTAWA — Working in Canada's legal pot industry won't deprive you of a Disney World holiday but the U.S. government's about-face for cannabis employees doesn't change anything for Canadians who admit to legally smoking marijuana after next week. U.S. Customs and Border Protection quietly updated Wednesday its statement on Canada's legalization of cannabis to say Canadian citizens who work in the industry and want to travel to the United States should "generally be admissible" as long as their trip is unrelated to the marijuana industry. It is a significant change from the policy issued on Sept. 21 which said working in the industry "may affect admissibility." "I'm shocked," said Len Saunders, a Canadian working in Washington State as an immigration lawyer. "This is what I was hoping for." "This helps hundreds of thousands of Canadians who have any sort of direct or indirect involvement in the Canadian cannabis industry," he said. "Everyone is calling me, whether it's CEOs or regular workers or those with remote connections to the cannabis industry." Saunders also said it's important to note that Canadians involved in any elements of the U.S. cannabis industry, in states where it is legal like Colorado or Washington, may still be denied entry. But for those in the Canadian industry, it is "the best case scenario." "Can you not go at all as a business visitor, can I go to a cannabis conference?" he asked. "I don't know." 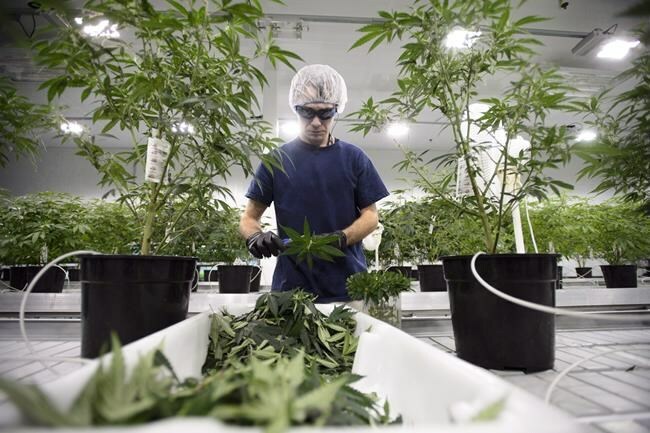 He noted the statement is also specific to Canadian citizens and employees, but it doesn't mention investors in marijuana companies or Canadian permanent residents. "Logically, it should apply to them too but none of things we've been hearing from CBP has been logical," he said. Chang also said the new policy doesn't change anything for Canadians who want to smoke pot after it becomes legal on Oct. 17. Admitting to smoking legal pot could keep you out of the U.S. if the border agent thinks you are a drug addict. "Legalization doesn't protect you from everything," said Chang.